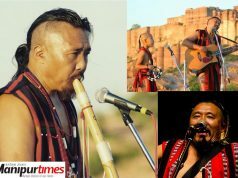 Khongjom Parba is a style of ballad singing from Manipur using Dholak (drum) which depicts stories of heroic battle fought by Manipuris against the mighty British Empire in 1891. 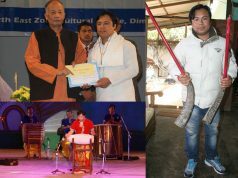 It is one of the most popular musical art forms of Manipur inciting the spirit of patriotism and nationalism among the people at one time. 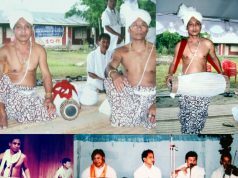 With declining patronage and listeners, performance of Khongjom Parva has declined drastically thereby compelling the indigenous musical art form to disappear gradually from the minds of the people. The future of Khongjom Parva traditional music is uncertain after the death of the few existing veteran singers. 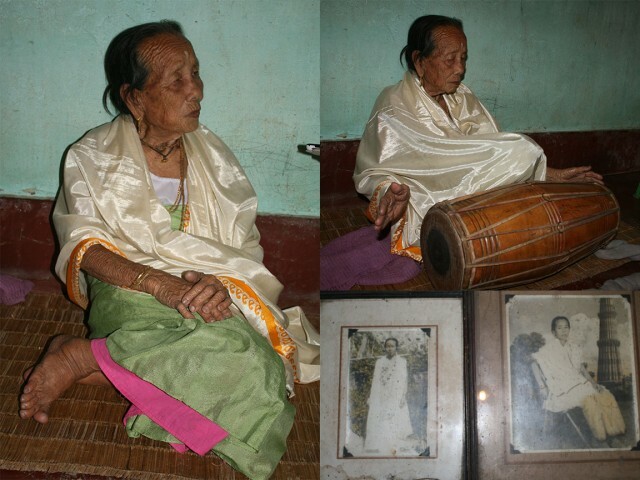 Among the veteran Khongjom Parva singers in the state, 89 years old Nameirakpam Ibemni Devi is also a great exponent of the traditional folk music who dedicated almost part of her life for the preservation of the traditional music art. 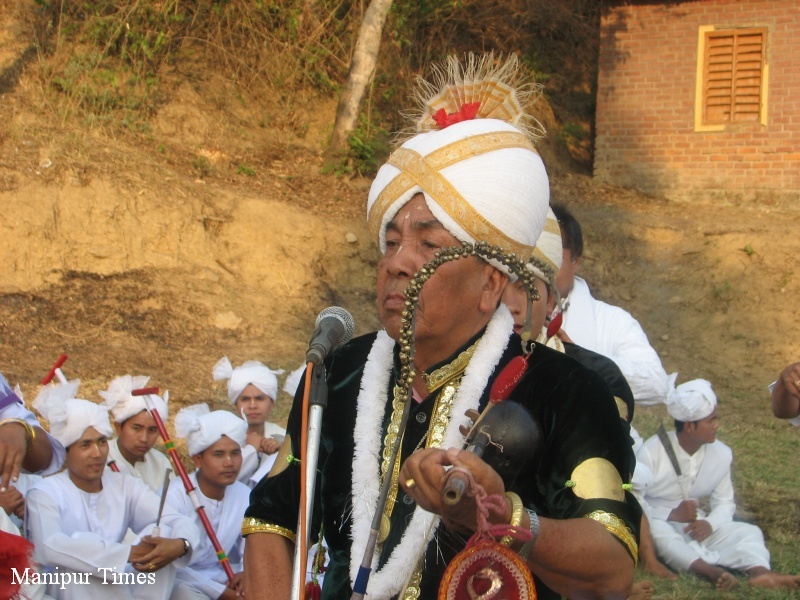 Born in July 1926 at Wangkhei Ningthempukhri Mapal to Kshetrimayum ningol Keina Devi and Khumanthem Chaoba Singh, a noted exponent of Khongjom Parva, Ibemni started learning Khongjom Parva, traditional Manipuri folk music at the age of 14 under the tutelage of Guru Krishnamohon of Kwakeithel, Oja Khurai Tombi and Yumnam Natum Singh, well-known singer of Nata Sangeet. Besides, she also learnt other genres of other Manipuri traditional music Bashak, Nupi Pala Ishei and Khunung Ishei. She mainly inherited the inspiration of such art form from her late father Khumanthem Chaoba Singh. She was a friend of Maharani sangai wife if Maharaj Budhachandra King of Manipur. She presented Khongjom Parva performance at the Royal palace. She visited many places across the state to perform Khongjom Parva during festivals like Govinda Nirpon, Durga Puja, Ningol Pali, Yaoshang, Rathajatra and so on. She could earn Rs 1.50 as Dakhina for her performance. Ibemni is regarded as the first female to play Khol, Mridanga and Dolak in Manipuri folk theatre. Living up to her name and fame, the eighty nine years old noted ballad singer Nameirakpam Ibemni showcased the aesthetic beauty of Manipuri Khongjom Parva music to the outside world by presenting her performance at the 3-day Kathakar-International Storytellers Festival held at the Amphitheatre of Indira Gandhi National Centre for the Arts, Janpath organized by the Indira Gandhi National Centre for the Arts and Nivesh from January 30 till February 1. The woman Khongjom Parva exponent is credited with the composition of over 150 ballads which have been aired by the All India Radio and Doordarshan and performed at many events. She founded Khongjom Parva School in 1964 apart from setting up two choir groups, one in 1964 and the other in 1972. In recognition of her relentless dedication towards promoting the dying Manipuri Khongjom Parva music, President of India conferred her with the prestigious title Padma Shri in 2012. 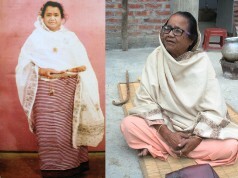 Apart from this, she has been honoured with Meidingu Bheighyachandra Award 2008 conferred by Jananeta Hijam Irabat Charity Trust, Kamalasana Rajkumari Ningshing Mana by Manipur Sahitya Parishad, scroll of honour by Senior Citizens for society in 2012 and Cultural Forum Lifetime Achievement Award 2014 by Cultural Forum Manipur. Khongjom Parva is an indigenous musical art form which depicts the episode of heroic battle fought by Manipuris against the mighty British Empire in 1891. The founder of this singing style was one Samjetsabam Leinou popularly known as Dhobi Leinou who witnessed the war. After the great Khongjom battle, Leinou started narrating the eye-witnessed accounts of war with heartrending lamentations in the form of a song and it latter on became popular among the people as a unique indigenous musical art form. 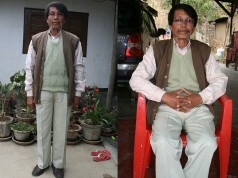 The episodes related to Anglo-Manipur war of 1891 are sung and narrated by the artistes bringing alive the courage and bravery shown by the Manipuri soldiers against the mighty British forces in the last battle for safeguarding the independence of Manipur, said the great Khongjom Parva exponent. She said that a Khongjom Parva artiste should not only be a good singer but also be a skilful Dholok player. Khongjom Parva is sung for hours and for days without any written script, delivered solely with the proficiency of the artiste. 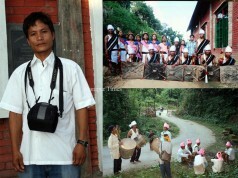 It is indeed a unique musical art form of the Manipuris, gifted by the last war of Manipur’s independence. With the number of Khongjom Parva singers becoming lesser gradually, the art form is dying from the minds of the younger generation. Government has also failed to preserve the art form. Losing of such rare art form is tantamount to losing the identity of Manipuris. As such, there is an urgent need to promote this art form especially among the younger generation. “Who will work for preserving our culture unless we do it for ourselves”, she said. 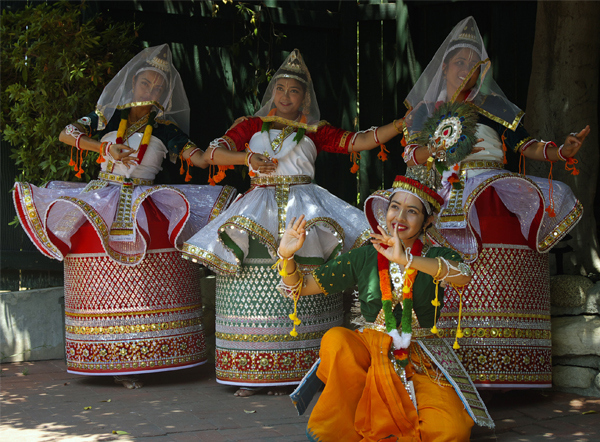 Previous articleDance Music Ritual in Manipur: A book by Byron Aihara, California. Beats Farm where all bands jam and the man behind the jam room.